Gluttonous husband’s dear mother, Peg, is a great cook – like mother, like son, actually. Peg grew up in a far-flung country town in the Australian state of Victoria; if she wanted to eat something, she pretty much had to make it. 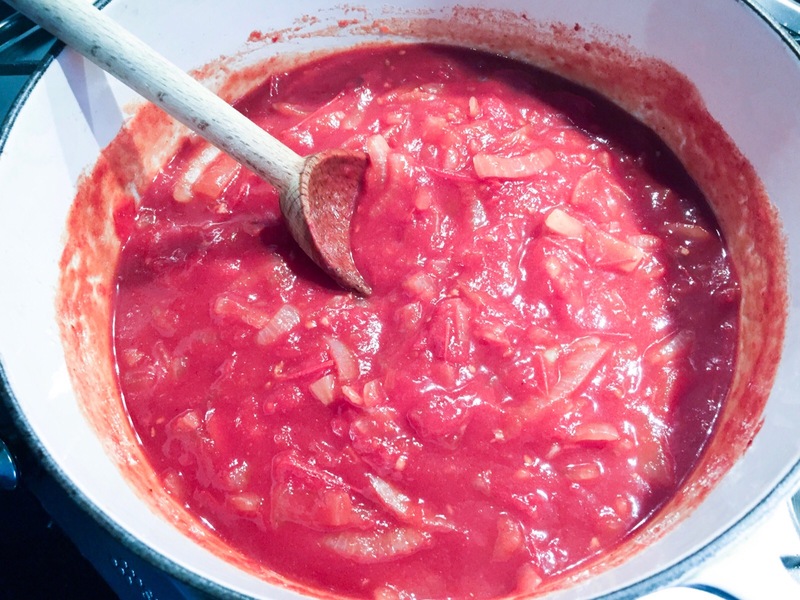 We love chowing down on her lasagna and her Anzac biscuits, but another huge treat in our household is using her tomato sauce. 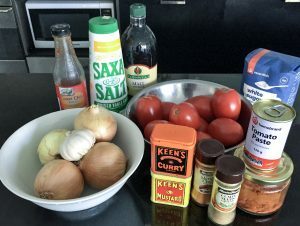 Indeed, when friends have descended upon Casa Greedy Girl, they’ve marvelled at this unassuming little pot of sauce that we use for barbecued meats, with the humble Australian sausage roll and also, from time-to-time, to add a little kick to hamburger patties. We’ve also bottled it up to parcel out as a little Christmas treat. Friend Pucci Girl took a container of it to work one day when it was her turn to cater for the firm’s morning tea. She reported that her colleagues were taking teaspoonfuls out of the dish to eat on its own. In recent years, the heaviness of pots and pans means that dear Peg has passed down the sauce-making tradition to gluttonous husband, having learned it from her mother who was a cook on various country estates. Keeping family culinary traditions alive is very important – especially with offspring near and far clamouring for the recipe. So here, without further ado, is Peg’s homemade tomato sauce recipe. 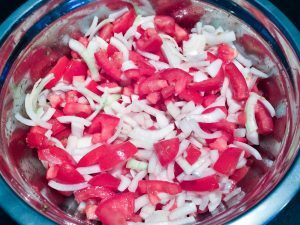 Chop tomatoes roughly and slice the onions. Place into a large bowl, add salt and stir to combine. Leave overnight (cover it with cling film if you want to minimise the smells). Next day, drain the moisture thoroughly. 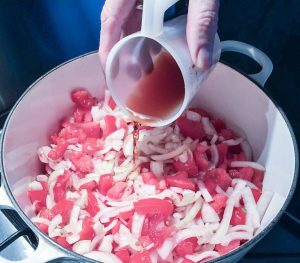 Place the tomato/onion mix in a large saucepan and add 1/2 cup of malt vinegar. Simmer for an hour. It’s time to create a spice mix, using the mustard, curry and chilli powders, cumin and sweet paprika, plus the crushed garlic. Add a little malt vinegar to make a paste. 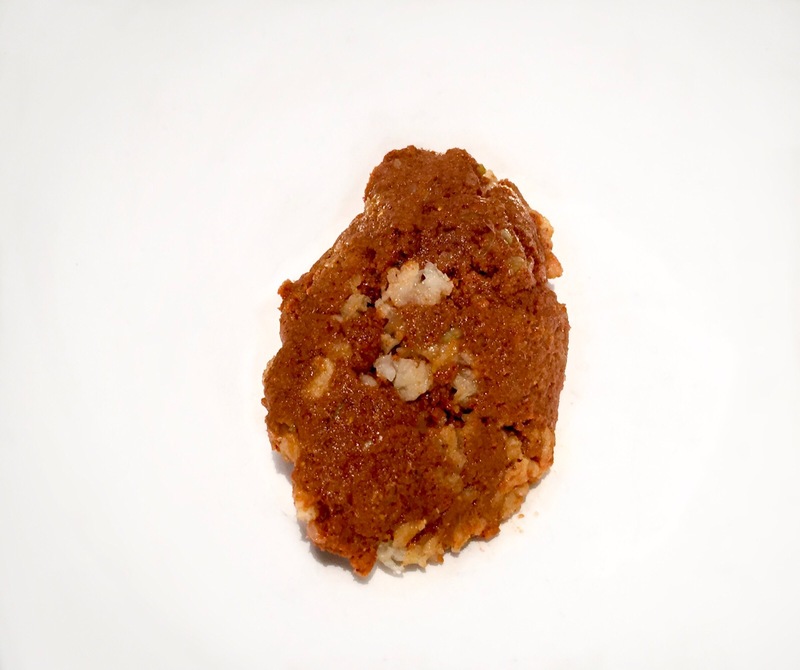 You want something that’s the consistency of a roux. Add this to the simmering tomato mix, with the white sugar, tomato paste and sweet chilli sauce. Stir well to combine. The sugar will dissolve in the heat. Simmer for around half an hour, until it develops the level of consistency you want. Boiling it longer will make the finished sauce thicker. Originally the recipe was designed to make enough sauce for a year – using 6kg of tomatoes. 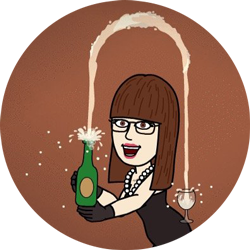 This obviously has been scaled back dramatically! While the sauce simmers, prepare your containers. Any sealable glass container works well. Put them in the dishwasher or wash them thoroughly. We chose canisters with a rubber seal (see the picture at the top of this post) but removed the seal before putting them in the dishwasher and washed them separately. Before filling with sauce, warm the containers in a love oven (around 100 degrees C) – again, if they have a rubber seal, make sure that doesn’t go in the oven. 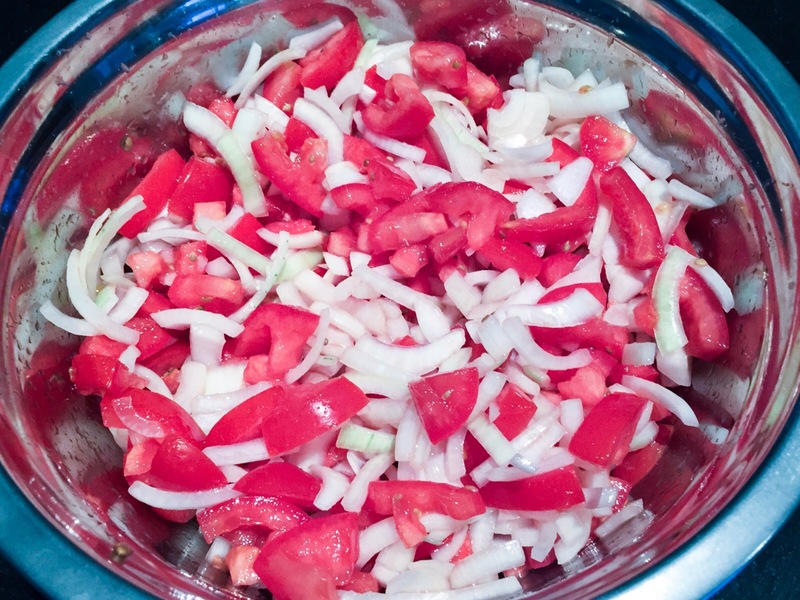 Recycling old salsa or sauce bottles is a great idea, although it helps that the containers have a reasonably wide mouth to make them easier to fill (especially if you prefer thick sauce). We put the mix through a mouli to make it nice and smooth. Just add a bit from the pot at a time and make sure you’ve got a large bowl or saucepan underneath. You’re looking for a slightly sweet, spicy and tangy result. Fill your bottles and enjoy with a range of meats, add to mayonnaise to make a good cocktail sauce or even perhaps add to a hamburger patty mix. Enjoy!